KD Chart is the most powerful Qt component of its kind! Besides having all the standard features, it enables the developer to design and manage a large number of axes and provides sophisticated customization. KD Chart utilizes the Qt Model-View programming model and allows for re-use of existing data models to create charts. KD Chart is a complete implementation of the ODF (OpenDocument) Chart specification. It now includes Stock Charts, Box & Whisker Charts and the KD Gantt module for implementing ODF Gantt charts into applications. Gantt charts are often used for project planning and creating visualizations of dependencies across data sets. With the addition of KD Gantt to KD Chart, users now have a more comprehensive charting solution at a competitive price. KD Chart brings detailed and precise specifications to chart layout. Users can augment designs by adding rotated custom­rich text boxes and frames to data points and random positions. KD Chart is extremely configurable and can easily scale to the data at hand, automatically adjusting font sizes and layout when resizing. display additional horizontal or vertical lines pointing to or intersecting a data point and much, much more. Reasonable default settings for all properties allow users to quickly and efficiently create user­friendly charts with high level functionality in Qt programs. The current version of the KOffice productivity suite uses our library. Other users include Boeing, Siemens, and Scania. With the plotter type it is possible to create any kind of diagrams that rely on lines and markers. Examples for bubble charts exist, which have a 2D and a simulated 3D mode. Scatter charts can be implemented the same way but they don’t have a simulated 3D Mode. Usage Integrating the KD Chart engine into your own applications and customizing it to your needs, is usually a simple task. For quick results, the ready-to-use KDChartWidget class may be instantiated to add chart widgets to your application. For full control, you can use the charting engine to draw directly onto a QPainter provided by your application. Interfacing with the Qt Model-View API makes using KD Chart in Qt applications a straightforward process. Displaying multiple charts for the same set of data becomes simple. KD Chart’s added chart types means that OpenDocument ISO standard support is more complete. The KD Chart package not only includes a programmer’s manual, but also a reference manual, plenty of tutorial files, and the complete source code. KD Chart can be used in a variety of programs for many different purposes. The above example shows how KD Chart is used for visualizing flood events in a river. The images below show how KD Chart is used for monitoring seismic activity. Specify the fonts, colors, and sizes to be used and configure them in a flexible way. Configure the legend box of your chart in many different ways (text location, legend source and layout, data area, etc.). Support up to 9 header areas and/or 9 footer areas simultaneously and have full control over the contents, colors, and fonts to be used. Configure axis and grid parameters according to your specifications (including titles, labels, grids, data areas, etc.). Enhance your chart by adding extra lines and markers. Draw frames around any area of the chart. Images can be shown as area backgrounds and attached to any point of the drawing. Create Custom Boxes (floating text areas which can be anchored to any area of the chart). Use many different type-specific features that are available (bar chart, line chart, pie chart, ring chart, etc). Add tool tips and comments. 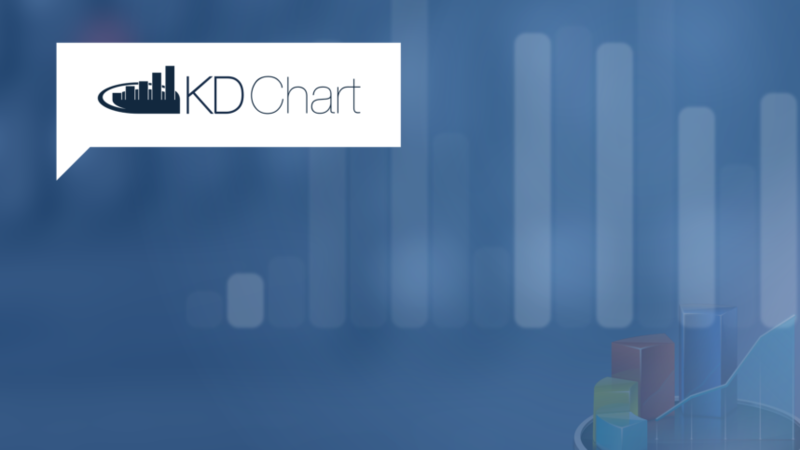 KD Chart allows many options – the list of features presented above is far from complete. Using KD Chart, you can quickly and efficiently create user-friendly programs with professional looking charts in Qt. The KD Chart engine supports several types of charts. See below for samples taken from the KD Chart tutorial. KD Chart supports Qt version 4 and 5.
all new releases of the product, including minor releases and all new major releases. KD Chart is available free from customers.kdab.com and documentation for all products at docs.kdab.com.